Want to know what benefits there are of a Psychic Reading by phone? You might wonder how someone you have never met, who may be hundreds or thousands of miles away, could possible help you via a simple phone conversation. The answer is because we are all connected, and in the spirit world, there are no distances or boundaries. There are as many types of psychic phone readings as there are psychics. Different types of readings may be more or less helpful for the unique problem or question you are facing. If you insist on a face-to-face reading, you are limited by who is available in your particular area. When you use an Australian phone psychic reading, you are free to choose the exact type of reading tailored to your specific needs. Further, you can get that help any time of day, any day of the year. Another benefit of consulting a phone psychic in Australia is that you do not have to pay for more than what you need. Many psychics have a minimum fee for readings in person, regardless of how complex or simple your question is. Why pay for an hour-long session when your question could be answered in a few minutes? Because you have so many options with Australian phone psychic readings, how do you decide which type of reading would be best for your situation? Psychic readings can loosely be categorized into two major groups: structured and unstructured. Psychics giving structured readings use divination tools to give insight into careers, relationships, life paths, and a general understanding of past, present, and future events. In general, these are best for when you are seeking general guidance and insight as opposed to having a specific question. • Divination Cards – Tarot, Angel Cards, and Sprit Animal Cards are all types of divination tools that help a psychic gain insight and guidance for the questioner. • Runes and other Divination Tools—Runes are a form of divination based Nordic letters. The runes are often carved into wood or stone disks which are then cast to reveal patterns. Similar divination techniques that rely on patterns from cast objects include i-Ching coins, cowrie shells, knuckle bones, or dice. • Astrology—The study and practice of astrology is about much more than the short forecast column in the newspaper. Consulting an experienced astrologer can be beneficial especially when you are concerned about timing of events or compatibility in relationships. • Medium—A medium has the ability to communicate with one who has passed beyond the veil. They can help an individual reach closure with a loved one so they may continue on with their life. Many mediums also channel unworldly beings which can provide spiritual guidance. Some mediums also communicate with animals, living or passed. • Psychic Healing—A psychic healer may work with a person’s aura or chakras. • Clairvoyant—A clairvoyant is a psychic who sees clearly. This would include the practices of remote viewing and gazing into a crystal ball. A psychic with this ability receives images that can be interpreted to reveal insights and answers to questions. 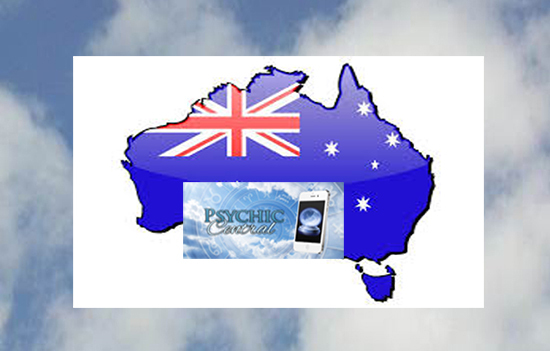 There are many options when considering Australian phone psychic readings. Many psychics use combinations of divination tools coupled with unstructured psychic interpretation. You may need to consult psychics with different gifts at various times in your life. With phone psychic readings, you have the choice to go to the same psychic every time, or seek a different psychic in each new situation. The choice is yours. Our Psychic Central Reader are available for live readings via Phone or SMS 24/7. Click Here to check them out.